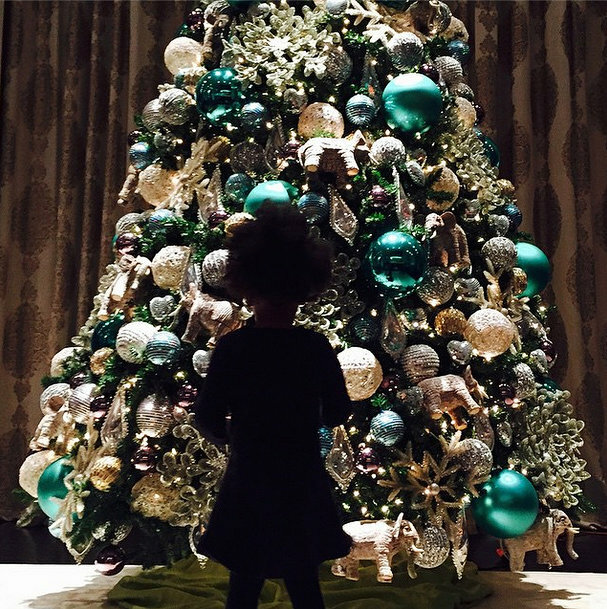 This is what American Singer, Beyonce posted about her daughter being in Christmas mood. According to her, for some, Christmas cheer comes in red and and green. For others, Blue will do. Beyoncé posted a photo to Instagram on Wednesday of her and Jay Z’s daughter Blue Ivy — who will turn 3 on January 7 — gazing up at a giant Christmas tree. Naturally, it was decorated with lavish blue, silver, and teal ornaments, as well as elephants and other sparkly trinkets. Think the Carters decorated it themselves?